120 Days Same as Cash $663.00 - Delivery & Setup No Charge. 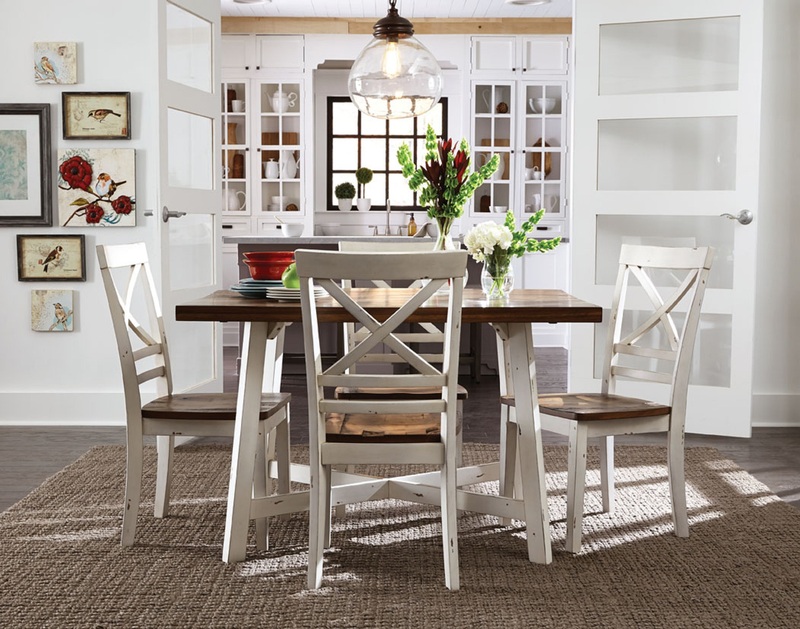 With its smooth clean lines and comfortable X-back chairs, Amelia has a versatile kind of styling that gives it a go anywhere look. Finished in a two-tone warm chestnut and distressed white.